Complex Says: What if Halo played just like Starcraft? 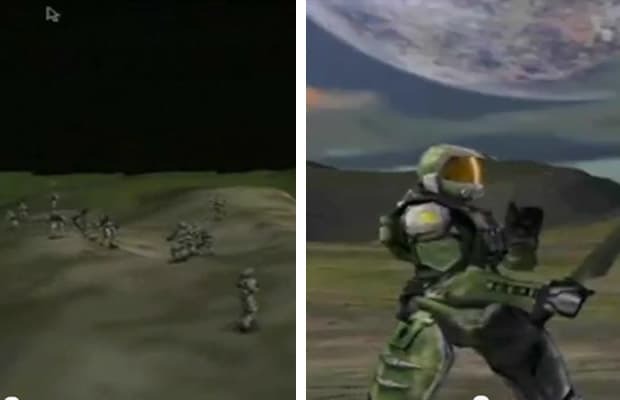 That’s right, early footage of Halo showed that the game was a real-time strategy game. Several armed Master Chiefs filled the screen before the development team decided to make the game a third person shooter. Critics responded favorably to the third-person game style, but the game received a third overhaul after Bungie Studios took over.